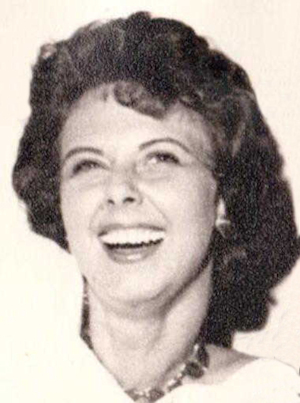 Obituary – Miller, Colleen Ann (McCormick) « Perry High School Alumni Association, Inc.
Colleen Ann Miller, age 76, resident of New Mexico for 25 years, passed away March 23, 2002. She was born August 12, 1925 in Perry, Oklahoma to the late Robert H. and Alta Eve (Carrier) McCormick. She is survived by three daughters, Candace Blashak, NM, Carol Miller-Tozaki, Kathleen Miller and her husband, Frank Jones, NM; three sons, Robert O. Miller and his wife, Anita, OR, William N. Miller, NM, Kevin J. Miller and his wife, Sue, FL; one sister, Margaret McCormick, OK; grandchildren, Ted Blashak, Zakk Zinn, Tommasina Miller, Crystal Miller, Kenji Tozaki, Keegan Tozaki, Kimi Tozaki; one great-grandchild, Samantha Blashak; one niece, Tamara Henderson. Colleen was preceded in death by her husband, William N. Miller, USAF Ret., in 1983 and her brother, Robert McCormick. She graduated from UNM with a B.U.S. in English and Library Science. She loved to read and passed this love on to her children and grandchildren. She completed several novels, one of which is under consideration for publication. Colleen will be remembered as a loving, caring mother, sister and grandmother. Visitation will be held from 5:00 p.m. – 7:00 p.m., Wednesday, March 27, 2002 at Strong-Thorne Mortuary 1100 Coal Ave SE. Graveside services will be held 11:00 am, Thursday, March 28, 2002 at Santa Fe National Cemetery. Pallbearers will be Theodore Blashak, Frank Jones, Robert Miller, Kevin Miller, William Miller and Jose Maresma. In lieu of flowers, contributions may be made to the Alzheimer’s Association or the Animal Humane Society. Strong-Thorne Mortuary is handling her arrangements.